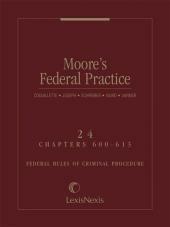 Comprehensive coverage of federal criminal procedure from the trusted Moore's series. Moore's Federal Practice: Rules of Criminal Procedure offers unmatched coverage of every detail of procedure in federal criminal cases, fully annotated and practice-oriented. 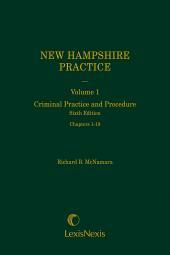 Incorporates text and analysis of all amendments to the Federal Rules of Criminal Procedure, including the 2012 amendments effective December 2, 2011. 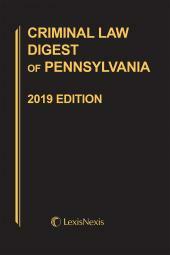 Follows the sequence of the Rules and includes: the complete Advisory Committee Notes, the Legislative Committee Reports, Table of Cases, and comprehensive index. 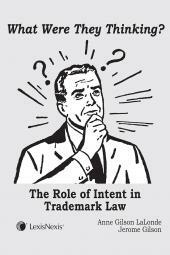 Also discusses the Habeas Corpus Rules. 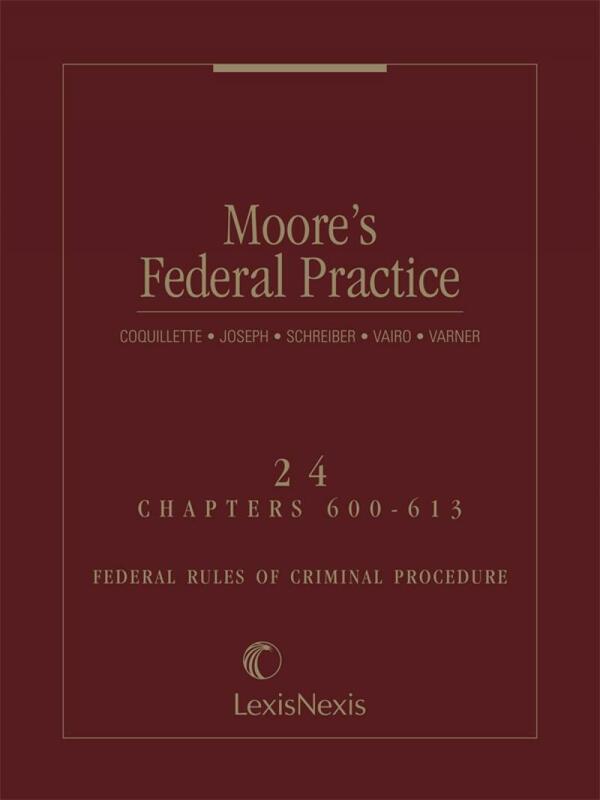 Moore's Federal Practice: Rules of Criminal Procedure has a rule-based organization, with a chapter devoted to each Federal Rule of Criminal Procedure, and additional chapters encompassing related proceedings such as habeas corpus. The treatise provides full annotations with in-depth evaluations of the decisions, and carefully analyzes issues not yet litigated to make the most comprehensive, accessible and up-to-date research tool for federal criminal practitioners.